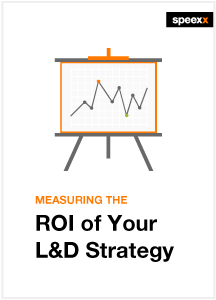 Download this white paper and learn effective ways to construct training measurement and evaluate the impact of your L&D program. Providing employees with professional development opportunities builds an effective workforce and a motivated corporate culture, both of which affect your bottom line. But what are the best ways to determine the balance between costs and benefits? How and when to do an ROI analysis? What are the five levels of a comprehensive analysis? How does the ROI learning process model look like? How does language training affect your bottom line? Return on investment (ROI) calculations are a means to determine the value of training. Increased employee development hours should correlate with increased employee satisfaction as well as higher profit margins. In this video, Armin Hopp looks at what HR professionals should consider when measuring ROI in employee development and what processes can be put in place.